Marketing has been evolving its shape and functionality. In the earlier days, the main objective of the marketer was simple selling. The concept of marketing has been adding newer functions in its gambit. With the increased number of sellers (offering similar products/services), the buyer has much more options to meet his buy requirements. This is forcing the marketer to change his marketing mix strategy to offer something more to the customer (than simple sales). The latest business model is offering more information to the customer. With the increased channels and methodologies of information, the customer is gaining increased importance in the eyes of the marketer. To retain the existing customer is much easier and economical than creating a new customer.Developing new customer is a costly affair for the marketer. To keep bonding with the customer, the marketer has to maintain the long-term relationship. This is also termed as relationship marketing. Relationship marketing is based on building a relationship with the customer in ways more than one, i.e., just sales. Though the marketer has sales as the ultimate aim and objective, relationship marketing extends the scope of the marketer to keep the customer engaged with the marketer.This can achieve through building a deeper, more meaningful connection with potential buyers to a) boost sales, b) boost business reputation & c) improve lead generation. Once the relationship marketing is proved necessary, the marketer has to extend his relationship with the customer through video as well. The video, as it proved, helps the marketer to provide more details about his products to the customer. As the present day marketing (content marketing) does not allow the direct interaction between the marketer and customer, the only option to offer the customer a ‘feel’ of the product is through video. 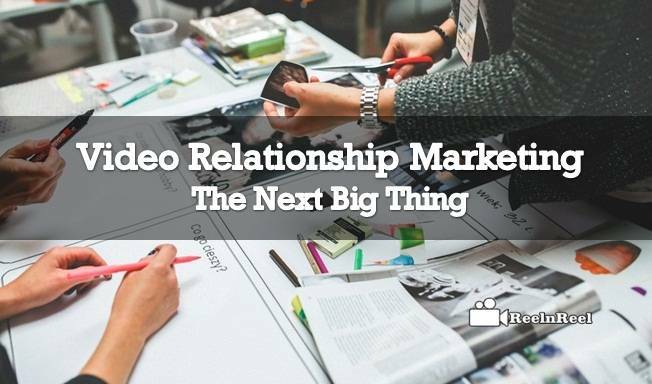 Video relationship can be accomplished through many online channels like YouTube, Facebook and other online video promotion channels as well.